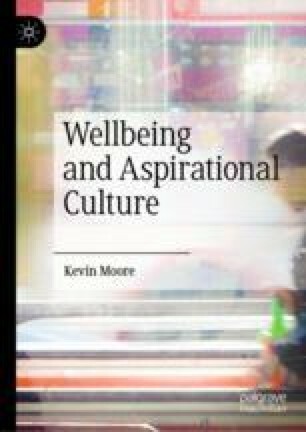 Moore discusses how the two main areas of life—work and leisure—intersect with the wellbeing of persons in today’s aspirational culture. He argues that the modern workplace has always been a site that has worked against wellbeing despite potentially being, for example, a positive environment for producing experiences of flow and the focus on understanding the conditions for job satisfaction. When at leisure, Moore argues, we still find wellbeing difficult to experience. The effort required to overcome obstacles to engage in activities that generate flow, for example, means that passive leisure dominates our free time. While both nature and free play are positive sites for wellbeing he reviews evidence for our declining contact with nature and decreased opportunities for play. Twenge, J. M., Joiner, T. E., Rogers, M. L., & Martin, G. N. (2018). Increases in depressive symptoms, suicide-related outcomes, and suicide rates among U.S. adolescents after 2010 and links to increased new media screen time. Clinical Psychological Science, 6(1), 3–17. https://doi.org/10.117/2167702617723376.